Providing you with the latest updated design incorporated with its own features, Aannya software brings forth their own software. Predictive Dialers have been around for 30 years and since then they have evolved into better, efficient and apt software. Our hardware solutions are preferred by a number of companies and corporations due to its minimization of the front capital expenses and reduction in the IT costs. 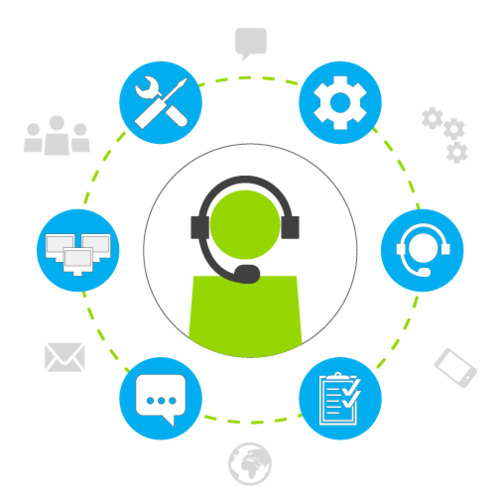 Although we design the predictive dialer software depending on the needs of the clients, but our dialers even have the capability of integrating CRMs to get more visibility into the call metrics. The effectiveness of predictive dialer systems from the Aannya software have delivered dynamic results in the past increasing the productivity of the call center agents by 200-300%. We are a leading the corporate market for offering such services and also are the most preferred vendor by the IT enabled service providing companies in the region. © 2018 Aannya Software Pvt Ltd.